For safety reasons, women at their 15th week of pregnancy or earlier are not permitted to ride a rickshaw. 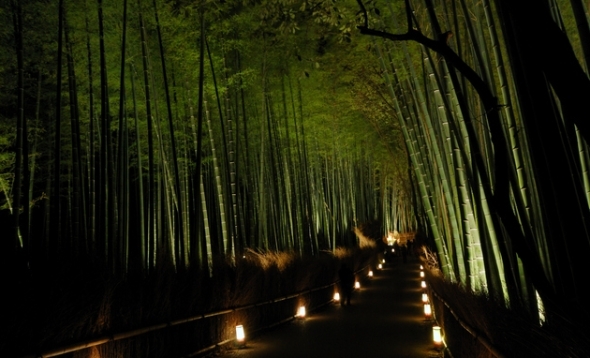 Visit the temple gardens of Tenryuji, a World Heritage Site considered as one of Kyoto's best Zen temples. 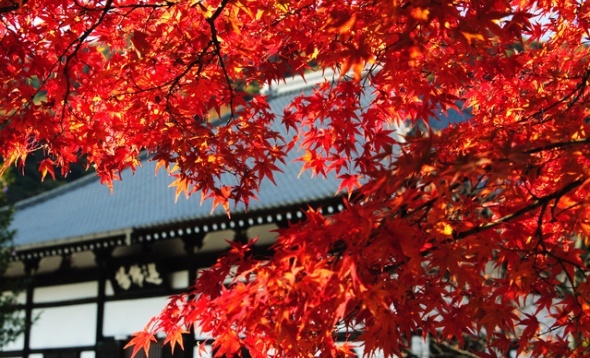 Enjoy panoramic views of Kyoto city from Jojakko-ji Temple. A World Heritage site. The Japanese garden is complimented by the beautiful landscapes of Arashiyama, and has been registered as a Special Place of Scenic Beauty. 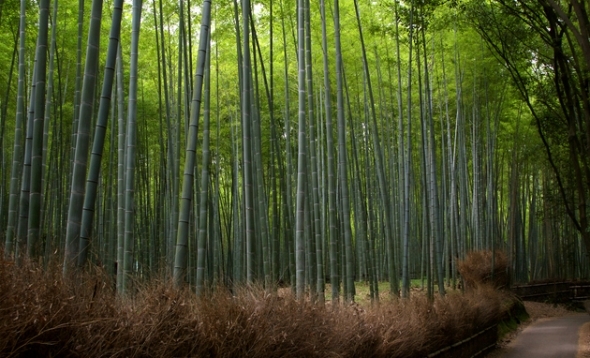 Enjoy a relaxing walk through the Sagano Bamboo Grove. This temple overlooks the town of Sagano and the city of Kyoto. The area is famous for its beautiful scenery when the colored leaves cover the mountain in autumn. 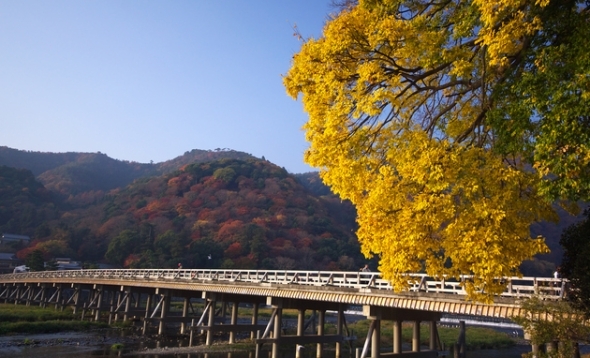 Togetsu-kyo Bridge is a famous 250-meter-long bridge in Arashiyama, and offers a spectacular location for viewing cherry blossoms or colored autumn leaves. As this is a walking tour, please wear shoes and clothing that are suitable for walking. The total walking distance for this tour is approximately 3 km. The order of destinations visited is subject to change. Cancellation rates will apply to the tour fare as below. If notice of cancellation is received on tour starting date, or in case of failure to show without notice 100% of the tour fare, 1 day prior to the starting date of the tour 40%, 7 to 2 days prior, 30%, 8 days or more days prior, no charge. Cancellation period is based on Japan local time. Notice must be received during JTB USA office hours. Mon. - Fri., 9:00AM-5:30PM PST Except National Holidays.